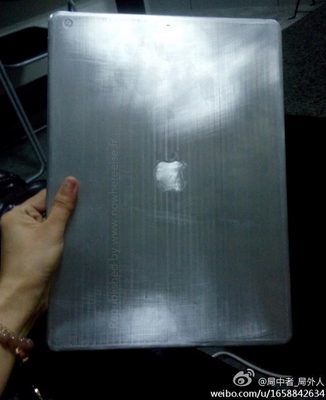 Leaked Images of 12.9-inch iPad Pro Prototype Spotted! Latest leaked iPad Pro images show off the prototype of Apple’s alleged 12.9 inch tablet variant. 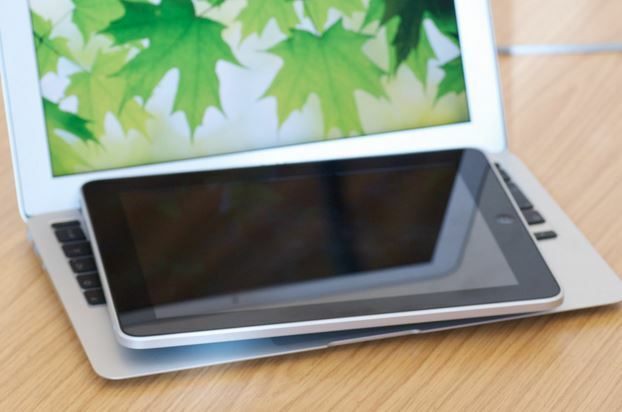 The iPad Pro images show off a tablet looking like an industrial prototype made of machined aluminum. Earlier, we had received a few leaks surrounding Apple’s increased focus geared towards finally launching a larger display tablet along with a larger screen iPhone 6. These latest leaked iPad Pro images come from Chinese websites and social media forums and looks more like a dummy model rather a finished actual product. This iPad Pro dummy could have been manufactured for case makers and others to create accessories for the Apple tablet. While leaked iPad Pro dummy image doesn’t show off any specifications of rumored iPad Pro, it seems to be comparing the large tablet with a human hand – looks giant! Earlier reports and leaks had suggested that Apple iPad Pro will feature a 2K (and a 4K) display screen and may also have the fingerprint Touch ID sensor. The latest leaked iPad Pro news and rumors have heated up after the rumors of Apple working on a multi-window split-screen multitasking to better use the screen estate of Apple iPads. While this improved multitasking for iPad suggested that Apple may actually be working on bigger iPad, hence the increased need of better OS design; KGI Securities analyst Ming-Chi Kuo claims that Apple has shelved the 12.9 inch iPad Pro for next year. [Updated with Screenshots]: Flappy Bird Returning in August – Dev Working to Make the Game Less Addictive! Apple Planning to Launch Split-Screen Multitasking for iPad with iOS 8!